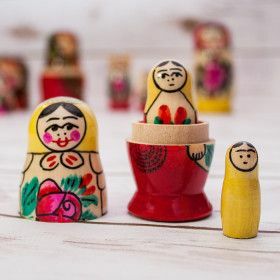 Russian Matryoshka is easily recognizable by her yellow shawl, a bright folk dress, her red cheeks and feminine curves. 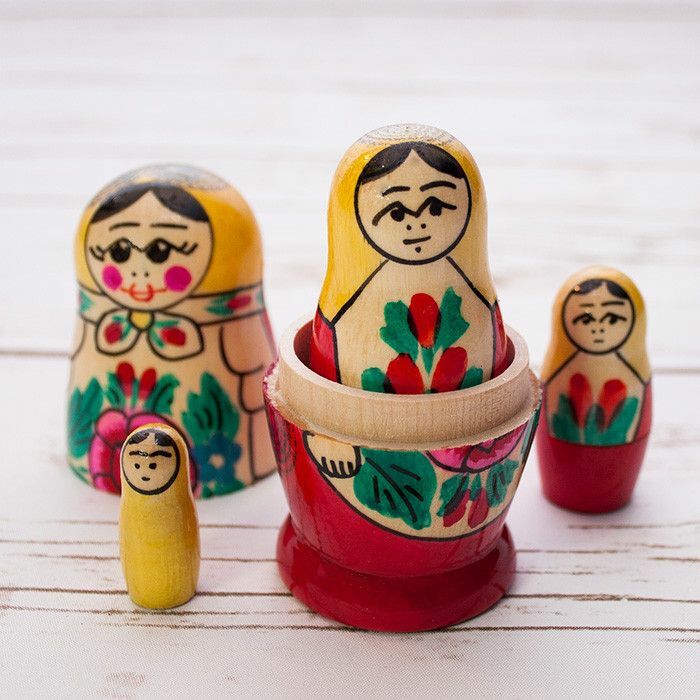 This cute little doll symbolizes maternal beauty, close family ties as well as Russian hospitality famous for its generous celebrations. Matryoshka is the cutest souvenir coming from Russia. Nesting Doll Semenovskaya is made of natural wood. Matryoshka wears a traditional flower-patterned Russian dress.